Founded in 2003, Lianlian Yintong Electronic Payment Co., Ltd (Lianlian Pay)is the fourth largest third party payment service provider in China, with a registered capital of RMB325 million. 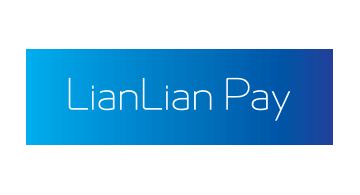 Lianlian cross-border payment now supports settlement of 19 currencies and enjoys direct connection and comprehensive service from all the major domestic banks. In 2015, Lianlian Pay became one of the first partners of China (Hangzhou) Cross-border E-commerce Comprehensive Pilot Area (the first national-level cross-border e-commerce pilot zone approved by China's State Council).